This is the one you've been waiting for in sought after Lago Mar subdivision. 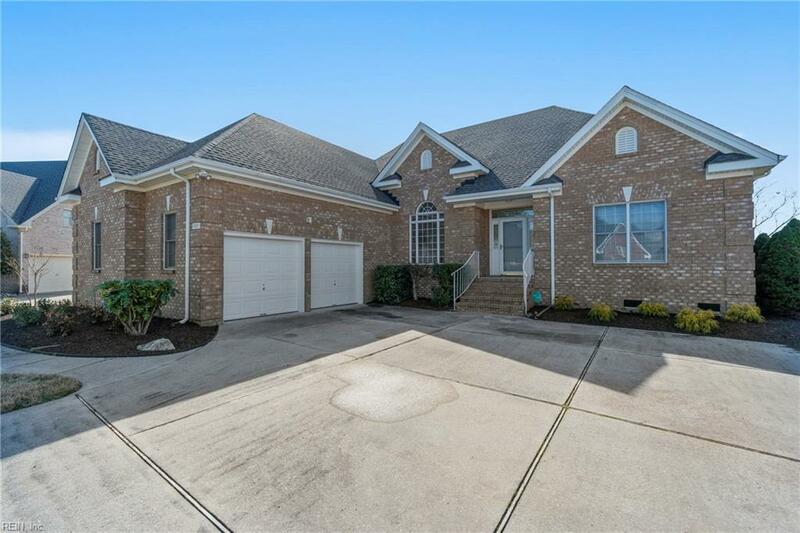 Well maintained custom one owner brick home in cul-de-sac. No pets or smoking ever. FROG has own full bath with walk-in attic. 50 year endurance paint on home's exterior, Pella Windows w/transferable warranty, Toro Multi Stream Sprinkler System on well water; 2018 16 Seer HVAC w/transferable warranty, 2014 water heater, 50 year roof installed in 2016, spacious laundry room with sink, wide hallways with 32 inch doorways, central alarm/security/fire system, Central Vacuum system with all attachments, permanent gas line to gas grill, professional landscaping, lawn contract with ALM expires 12/31/19 will convey. The only thing this home needs is your personal updating! Make this your home and live close to Sandbridge Beach, wonderful restaurants and ample shopping. Close to Princess Anne Rec Center. This one won't last, so hurry!